Bed bugs can wreck havoc in homes due to their bothersome nature. In addition to their itchy and irritating bites, bed bugs can leave marks and dark stains on mattresses and furniture. These marks are a combination of their excreted wastes, eggs, molted skins and the actual bugs. This can be an unsightly view and can even ruin a home’s aesthetic value. In severe cases, a kind of musty odor can sometimes be detected which adds to the already unattractive sight. It is no wonder that homeowners pay professional exterminators a great deal of money to get rid of these bugs. Unfortunately, not everyone can afford these services and paying for it will not guarantee total elimination. Luckily, there are several homemade ways to kill bed bugs which are sure to save any homeowner a few bucks. The first step in removing bed bugs from any dwelling is thorough inspection. If the bedroom is suspected to harbor bed bugs, the owner should examine every crack and corner to identify all the possible hiding places. Doing so will also help in determining the main source of the infestation. Once the problem areas have been identified, knowing the next step to take will be easier. Infested rooms should be cleaned thoroughly, similar to overhauling a car. Linens and mattresses should be taken out, washed and dried at high temperatures to make sure that the bed bugs and their eggs are killed completely. If a homeowner is using a spring-type bed, the springs on the bottom portion of the bed should be disinfected as well. Carpets should be vacuumed with special attention given to areas where the carpet meets the walls. The contents of the vacuum bag used for the extermination should be disposed properly. Should the mattresses or some of the furniture be severely infested, it would be a good option to discard these items. However, further precautions should also be observed during disposal as these can still be sources of bed bugs not only to the house but to the neighbors as well. Wrap the furniture and the mattresses in plastic and seal entirely to prevent adhering bed bugs from transferring to the other clean items. Always warn neighbors of the possible presence of bed bugs in discarded furniture especially if the items are to be placed outside the house. Homemade ways to kill bed bugs in big furniture and similar items which cannot be laundered involve wrapping them in plastic and exposing them to direct sunlight. This procedure usually lasts for about a day. It would be more effective to pack a fewer number of items per bag so that the hiding areas for bed bugs will be lessened. 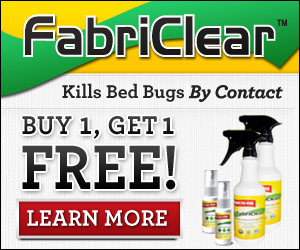 Homemade ways to kill bed bugs using chemicals are an option too. However some homeowners are reluctant to use measures involving pesticides because of the health and safety risks involved. Insecticides containing pyrethroids, dichlorvos, malathion are said to be effective in ridding a house of bed bugs. It is important to note however that bedbugs have been discovered to show resistance to pesticides. Should a homeowner decide to utilize insecticides, it would be very helpful to know that most insecticides are potentially toxic especially to children. No one should ever feel helpless against bed bugs because there will always be ways to manage these pests. Enlisting the help of trained exterminators is always an option but it’s good to remember that there are also simple, homemade ways to kill bedbugs.